The net profits of China’s banks are expected to grow by 10 per cent this year, says the China Securities Journal. 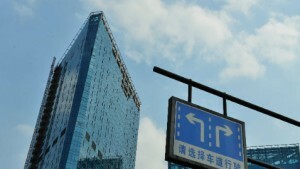 China’s total bank assets reached 140 trillion yuan ($22.65 trillion) as of the end of May, according to data from the China Banking Regulatory Commission. The data shows that bank assets are up 16.3 per cent year on year and the non-performing loan ratio for commercial banks stands at 1.03 per cent – topping one per cent for the first time since 2012. Provision coverage reached as high as 280 per cent, according to the commission’s report. “The non-performing loan ratio is expected to rise in the second half of this year, but is not likely to go beyond 1.5 per cent,” said Lian Ping, chief economist at the Bank of Communications.